Syrah yields on the Central Coast in 2015 were so low that we needed to source Syrah from Northern California. 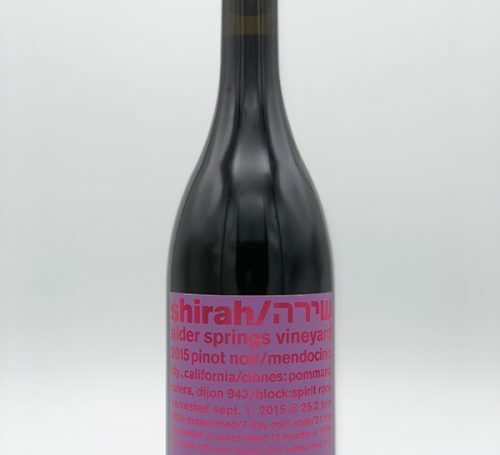 We chose Syrah from one of our favorite cool climate vineyards in Northern California: Alder Springs Vineyard. Our favorite block is Spirit Rock which is at the highest elevation in Alder Springs. The basis of our Syrah is clone 470 which has animal/meat and savory notes and clone 383 which tends toward more classical elegant blue fruit and floral notes. We co-fermented it with 6% Viognier which adds beautiful perfume to the nose. Stem inclusion and 25% new Tremeaux oak add even more intensity and depth. 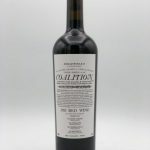 While this wine is showing much off the same notes as it did upon release a year ago. It has begun to display those characteristics more freely. Nose: Very complex, cool climate nose. Dense jammy fruit, chocolate, wintergreen, raw meat. Still quite brooding but becoming more expressive. 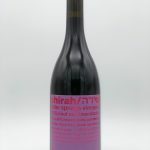 Mouth: Intense fore palate, great fine chalky tannin, big & full bodied, but not fat. Well integrated tasty french oak, and some cedar. This wine is still young and primal. Although this is quite enjoyable now, it should age beautifully. Nose: Aromatic. Cola, Jammy blackberry, sage, Viognier, chocolate, bresaola. 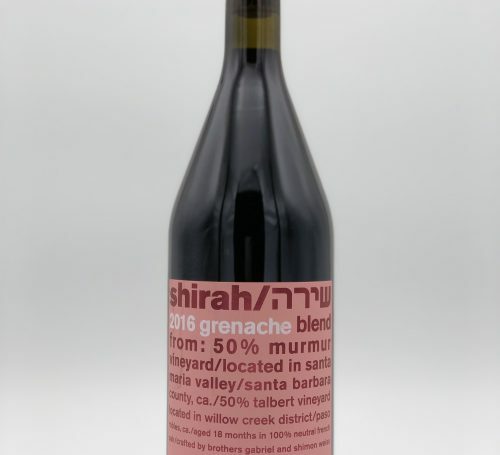 Mouth: Dense, Full Bodied, chalky tannin. 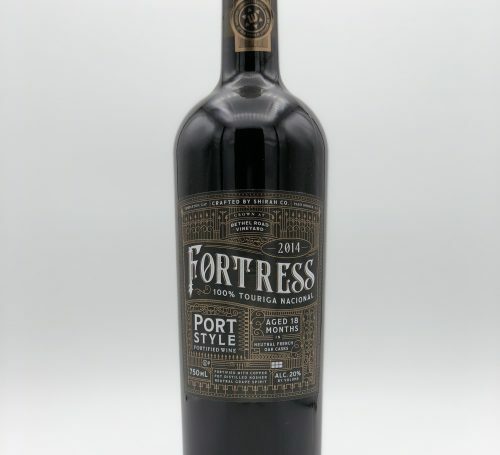 Flavors of blackberry fruit, mushroom, raw wood, cedar, cinnamon, shiitake/umami finish. 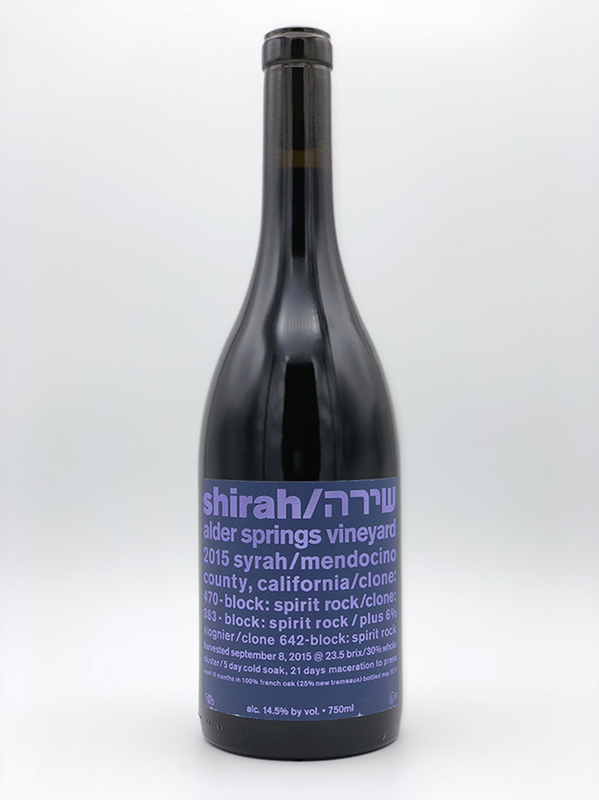 This wine shares certain elements with the Alder Springs Pinot Noir, which I guess should not come as much of a surprise considering that both wines are from grapes grown in Spirit Rock. They certainly have a different personality, with the Syrah being a massive, thick wine.